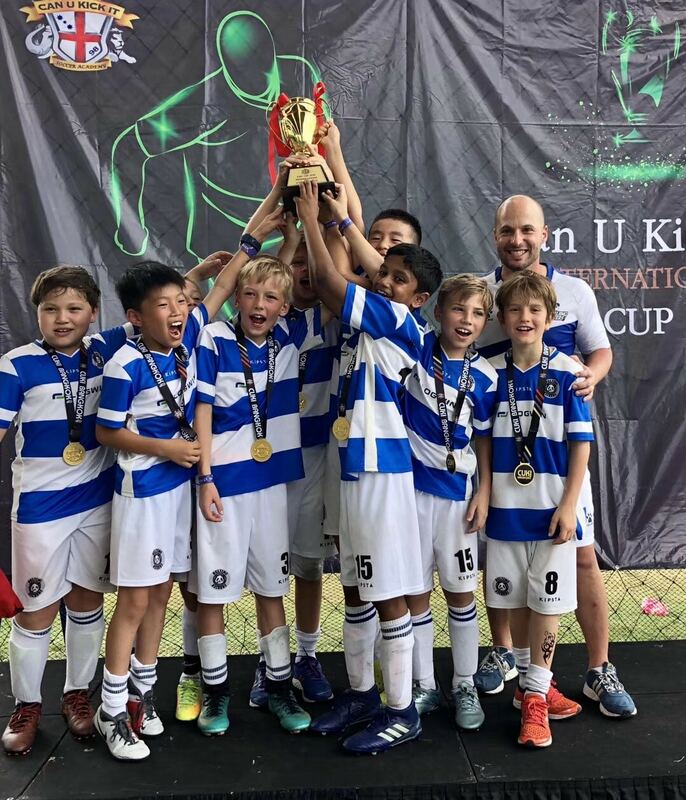 The Beijing Kickers once again took part in the CUKI (Can U Kick It) tournament held in Bangkok over the weekend of the 10th and 11th of November. 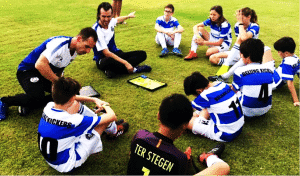 A fantastic opportunity for our players to compete against teams from all over Asia and put their skills to the test on quality grass pitches and an unforgivingly warm climate. 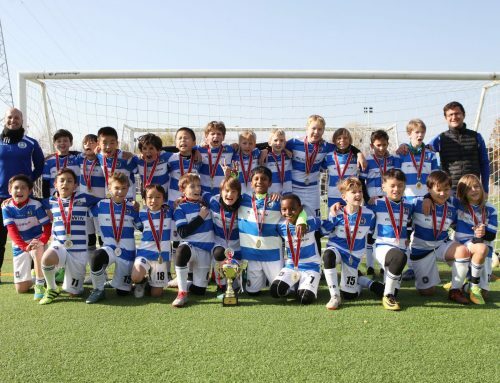 The Kickers participated in every age group of the tournament, with teams in the U14, U12, U10 and U8 divisions. 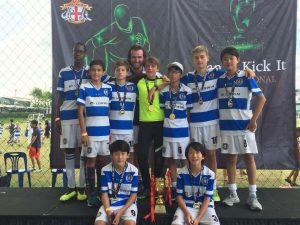 Saturday’s games saw our U14 and U12 teams playing in challenging matches and in both cases closely missed a qualification to go on and play for the cup. However, a solid performance from both teams on Sunday ensured great results, with the U14 team winning the plate trophy and the U12 coming in second by one point. 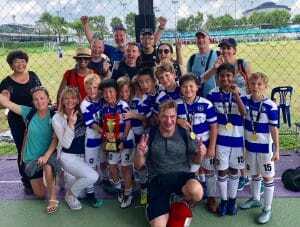 Similar was the result of the U10 team that came back from a series of wins and losses on their first day of games on Saturday to dominate their opponents on Sunday and wins first place in the Plate. 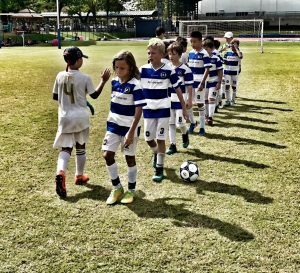 A special mention to our youngest team that traveled down to Bangkok: Their performance was spotless on both days, beating every team in the first stage of games on Saturday, and winning all their games with the exception of a draw on Sunday, making them Cup Winners and Champions of the U8 age division. Congratulations!! 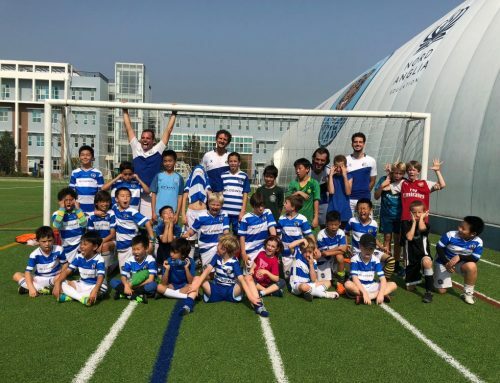 The CUKI tournament represented a chance not only to win and bring back silverware to Beijing. 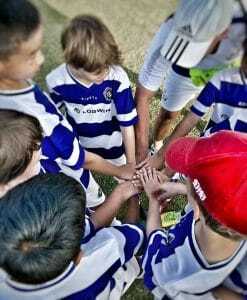 The boys and girls that traveled down to Bangkok and experienced the irreplaceable emotions of playing, winning, and at times losing together, passionately, as players that belong to one family, one team, and that are proud to represent the club they play for: Beijing Kickers. We would like to thank all the parents that traveled down to support our footballers and that helped in the organization and logistics. Your help was invaluable over the weekend!